Over the fall of 2017, conversation led to experimentation which led to more actionable plans and now, to the launch of our podcast. Our vision is to tap people from our combined network of activists, policy makers, artists, technologists, fans, educators, journalists, and media industry insiders, all of whom have something interesting to say about the relationship between popular culture and politics. We are calling the podcast, for now, “How Do You Like It So Far,” a title intended to signal that we are still trying to figure out what we are doing and would appreciate your feedback. Our approach – again, for now – is to focus onto some of the hot media properties and franchises of the moment as starting points for exploring the bigger picture developments which are reshaping the media landscape. The podcast is going to dig deeper, ask more ambitious questions than most pop culture podcasts out there – we are not doing recaps or just remaining on the level of entertainment coverage. For us, popular culture offers resources for asking questions about who we are and where we are going, questions that can be political, legal, technological, economic, or social, but often cut across all of the above. 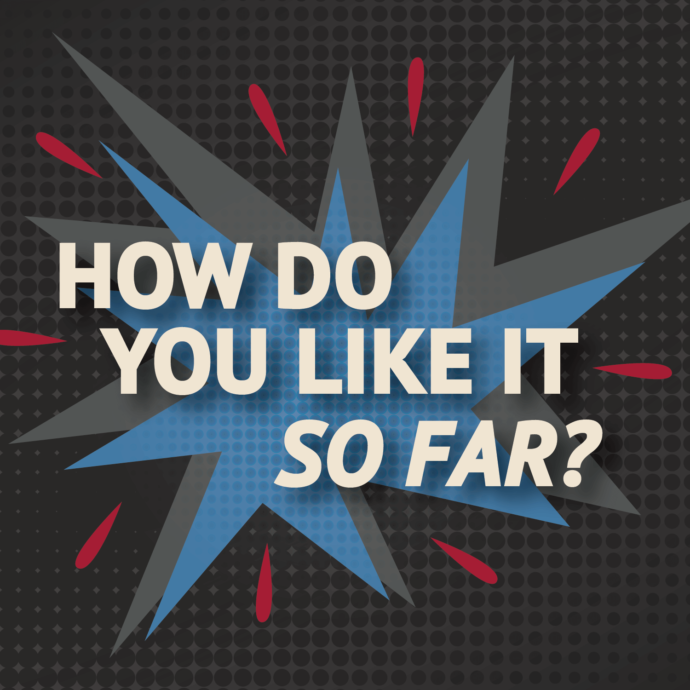 To check it out, please visit the How Do You Like It So Far? website.